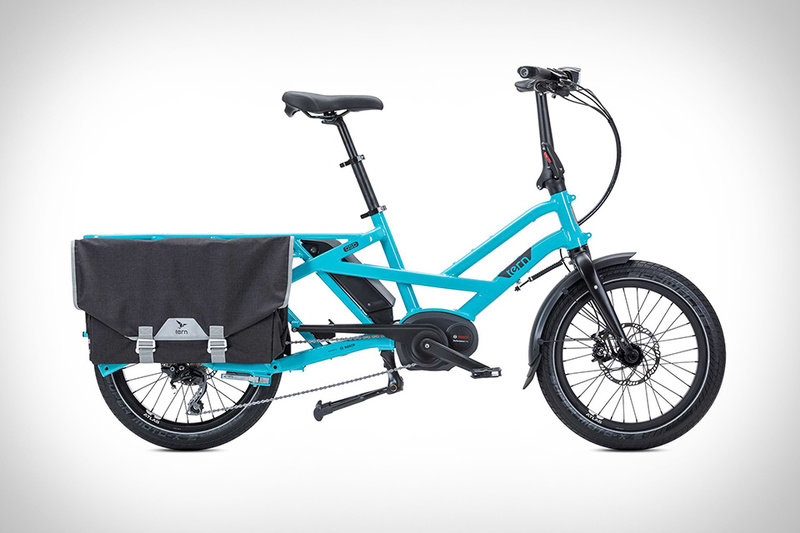 The new GSD E-Bike from Tern provides the best of both worlds for cargo bikers. It measures the same length as a typical e-bike but has room for cargo hold panniers and up to two child seats. And since it's designed to fit in small elevators, you can store it indoors, unlike most cargo bikes. It's also equipped with Bosch's Dual-Battery tech, allowing you to connect up to two batteries for a range of over 150 miles, letting you commute for several days on a single charge. Available in 400 or 900-watt configurations and a variety of colors, it's slated for sale in early 2018.